This is episode 13 of the Better Food Stories interview series, which includes conversations with the entrepreneurs behind some of today’s newest and most innovative food brands. EPISODE 13: KPOP Foods— LISTEN HERE! When Theo Lee started his MBA program at the UCLA Anderson School of Management, he had an idea that someday he might start his own company. But his road to entrepreneurship turned out a little different than he imagined. 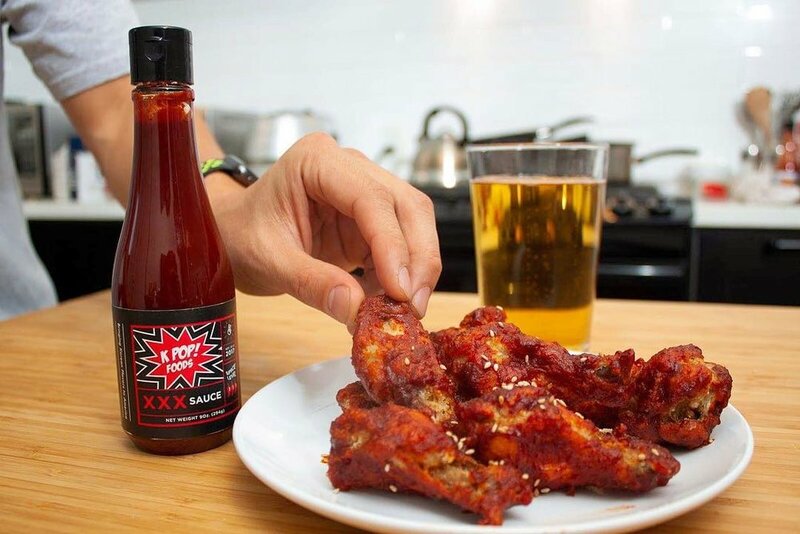 Lee’s company, KPOP Foods is the newest brand helping people discover and enjoy Korean food and flavors. The L.A. startup, which started off as a grad school project, creates deliciously authentic Korean sauces, mayos and sea snacks. How Theo and his team are educating consumers about Korean culture and cuisine, all while building a supportive community of brand advocates. Click the link above to listen to my entire interview with Theo Lee. And, sign up to the mailing list at adriagreenhauff.com if you want to get new episodes of the Better Food Stories podcasts delivered straight to your inbox.